Aug 3 Is it automatically better to be young? Hungarian-Australians have brought colour and talent to Australian shores. Immigrating as refugees fleeing social, political and economic crises back in the 1950s, Hungarian-Australians celebrate their traditions with vibrancy. Learn more. Jul 26 You're invited! Celebrate the rich culture and history of Hungary. Absorb yourself in Hungarian culture and tradition (and even some embroidery gingerbread decorating!) 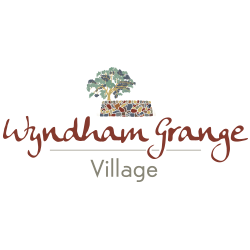 on Monday 20 August 2018 at Wyndham Grange Village. RSVP by calling 1800 123 131. Residents, staff, prospective residents and the south east Melbourne community gathered on Wednesday 18 July 2018 to celebrate the official opening of the Casey Grange Village Clubhouse. Guest speaker, 3AW’s Nick McCallum kept the crowd enthralled with his storytelling, setting the scene for many shared stories to come. 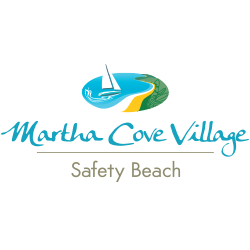 Jul 21 FAQs: As a resident, do I have any say in setting retirement village service and maintenance fees? Here is the answer to a frequently asked question about retirement villages - do I have a say in setting retirement village service and maintenance fees? Jul 17 Pet health: Ease those creaky joints! There is nothing better at the end of a winter’s day than sliding on our fluffy slippers and thick dressing gowns and snuggling up for a night in. But, what about our senior pet dogs? 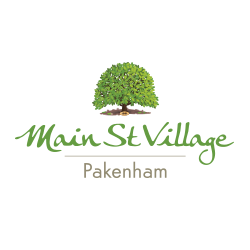 Jul 16 FAQs: As a resident, do I have a say in how the retirement village is managed? As a resident of a retirement village you hold voting rights about decisions that impact the majority of village residents. Jul 12 FAQs: Can I end my Retirement Village occupancy at any time? Here is the answer to a frequently asked question about retirement villages - can I end my Retirement Village occupancy at any time? Jul 12 FAQs: What happens if I need to move into an aged care facility due to health and/or mobility concerns? Jul 9 It's time for some fun! Come and join the fun of the Grand Opening of the Casey Grange Village Clubhouse on Wednesday 18 July. To RSVP, contact the sales office on Free-call 1800 998 900 as registration is essential. Wyndham Grange Village in Tarneit is hosting the first of RCA Villages’ Multi-cultural Celebration Days, and you’re invited! Save the date - Monday 20 August. Call 1800 123 131 to reserve your seat. Here is the answer to a frequently asked question about retirement villages - who is responsible for the running of a retirement village? Don’t get caught out at the checkout without reusable shopping bags. Take these three simple steps to replace single use plastic bags with reusable ones. You’ll never look back. And it feels good to be contributing positively. Treats are an important part of training your pet dog, by helping your pet form a positive connection between the given command and the action they’re supposed to perform.